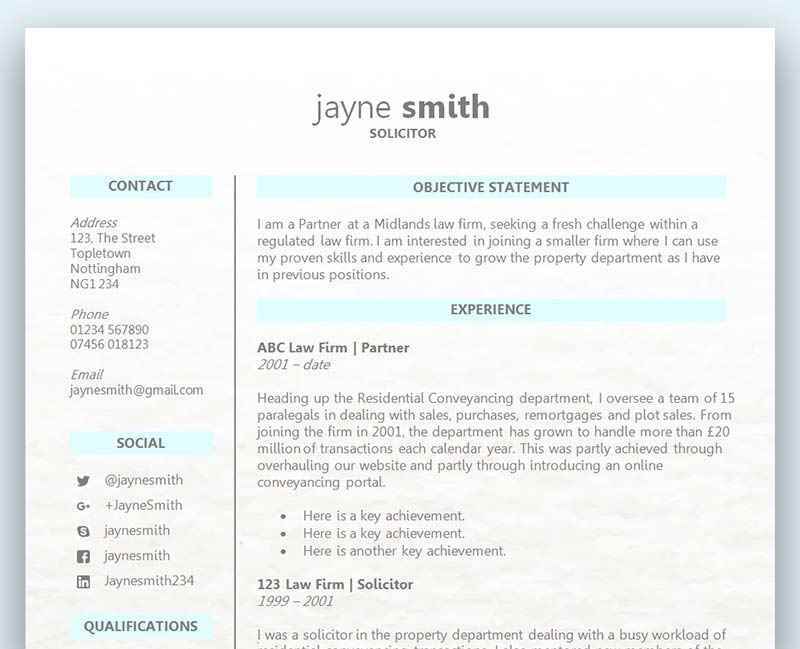 Our 'Coasting' CV template is a lovely, fresh and customisable one-page design. The eye-catching blue corner has a blue 'legal documents' feel - but this CV is well suited to a variety of careers. The bottom coastline adds a creative touch but it's easy to replace with any background you like - or opt for no background at all. To get rid of the picture simply click in an open area away from the text and hit delete - simple! Finally, the skills bars are adjustable - if you find this difficult, zoom right in and it'll be a lot simpler. Free download: 'Coasting' CV template in MS Word format	Overall rating:	4.5	out of 5 based on 23	reviews. This file uses 3 popular fonts so do use our links and make sure you have downloaded and installed these before you start customising your new CV template. Having a lengthy gap in your employment could hinder your chances of gaining an interview, and even though there are ways of explaining a gap on your CV, it would always be better to avoid them if possible. You should always remain busy whilst searching for a job and one of the best ways is to volunteer at your local charity or even Country Park. Not only will this keep your mind and body busy, it will also look great on your CV and show a potential employer that you are a hard working individual who is willing to give up their free time to help others and stay active. It’s always hard to tell how long it will take to find a job, and as the weeks go by it’s very easy to get out of touch with daily tasks and responsibilities. Voluntary work is a great way to keep yourself sharp, and you might even gain additional skills and experience that you can also add to your CV. Depending on how long you feel you might be out of work, it may be a good idea to take on a part time course to further your qualifications, or even study at home to gain more knowledge for your next role. The hardest part about taking this approach however is trying to balance committing to a course whilst getting a new job, and how the two might interact. So this may only really apply to someone who is likely to be out of work for a lengthy period of time, due to illness or other personal reasons.